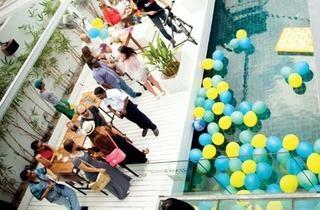 Pool parties are definitely a trendy way to cool off as the mercury climbs in our city. 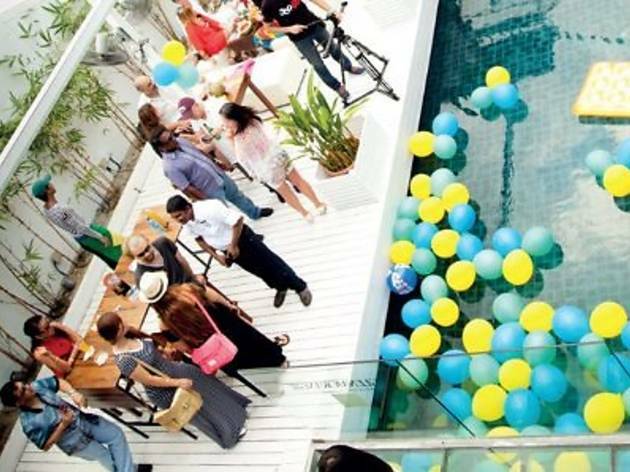 The Pool, as its name suggests, plays host to the bikinied party-goers, offers good tunes, a fashionable scene and occasionally throws fancy themed parties. On Sundays the club throws special parties, such as Rave with the New Wave (RWNW) and Rainbow Pool Party. RWNW is a mini dance fest featuring girls and guys bopping to the cool remixes of local DJs. It’s like a small-scale music festival and usually takes place on the first Sunday of the month. Two weeks later on the third Sunday of the month, the Rainbow Pool Party is dedicated to all the boys who like boys and girls who like girls. It’s a showy skin-fest where party people come out to play armed with their sexiest swimwear and open minds.